UPDATE: Some Star Party events scheduled for Saturday, April 13 have been postponed. Refer to the N.C. Science Festival website for updated information about your local Statewide Star Party event. Neil Armstrong’s famous words turn fifty in 2019 and NC Space Grant and the N.C. Science Festival are celebrating with this year’s Statewide Star Party events on the theme: “To the Moon and Beyond.” Stargazers are invited to attend the Festival’s Statewide Star Party events on April 12 and 13, with locations ranging from Asheville to Sunset Beach. Despite predicted clouds and rain in much of the state, many of the events will still go forward. Check the N.C. Science Festival website for links to local events and Facebook page for updates. 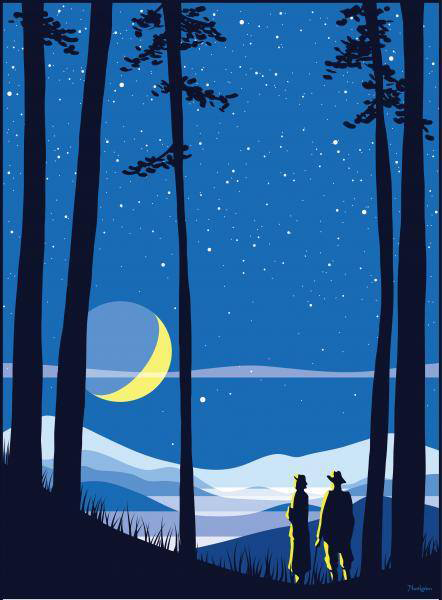 Statewide Star Party events invite the public to join professional astronomers and volunteers in exploring the night skies through activities aimed to educate and inspire. NC Space Grant sponsors the Star Party events, and is often joined by other organizations in funding these events. The Star Party events are a part of the Lift Off NC collaboration, which is celebrating the first Moon landing with a variety of events throughout 2019. The N.C. Science Festival, an initiative of the Morehead Planetarium and Science Center, annually celebrates science with events throughout the month of April along with partners like NC Space Grant. The Festival aims to attract businesses to the state and to inspire children to pursue careers in science. To find other events and opportunities in this celebration of science, visit the N.C. Science Festival events page.